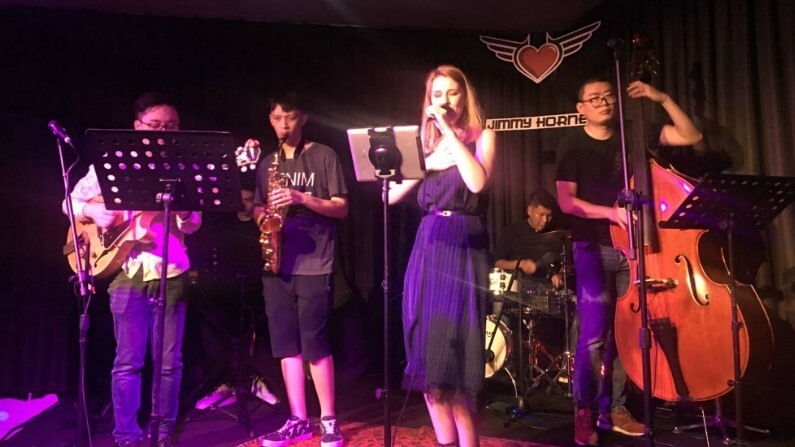 When Doc White was performing at Jimmy Hornet, he mentioned he’d met an American woman, now Hong Kong-based, with a music royalty background. 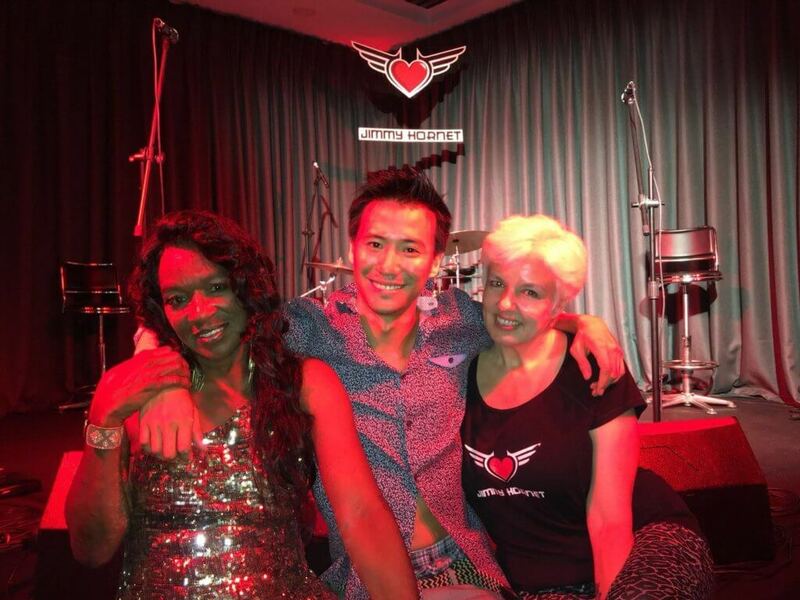 It took some extended negotiation and cajoling, but Sybil Thomas agreed to visit the mainland and perform in Zhongshan for Jimmy Hornet. Incredibly energetic, talkative and kind, Sybil was a pleasure to work with. 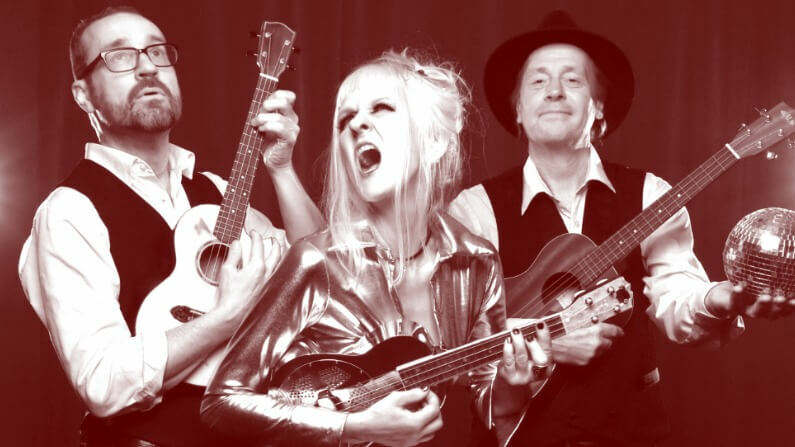 Her super talented guitarist (Geoff King Luk) accompanied her, and the two delighted the audience with old blues and soul tunes, peppered with the odd Sybil Thomas original number. Sybil Thomas at Jimmy Hornet China (cover) "Georgia"
Sybil Thomas was born to sing. She has been singing since she was five years of age. Her first big break came in the early ’70s when she toured Italy with the distinguished group, The Platters , and was their only female singer. Sybil is from a line of music royalty. Daughter of the legendary Rufus Thomas, the Stax Records recording artist and famous disc jockey from WDIA radio in Memphis Tennessee. Sybil is also the sister of Carla Thomas. She has worked with music artists such as Jeffrey Osborne, Luther Vandross, Phyllis Hyman, and George Duke. As well as international legends such as jazz trombonist Hiroshi Fukumura, singing the lead vocals on the song entitled, “The Only One For Me” featured on the Hot Shot album; and Teramasu Hino, the renowned jazz saxophonist. She has toured with remarkable artists such as Lou Rawls and The Pointer Sisters. She has toured internationally with many Grammy award-winning artists, such as Roberta Flack, Peabo Bryson, and Stevie Wonder. 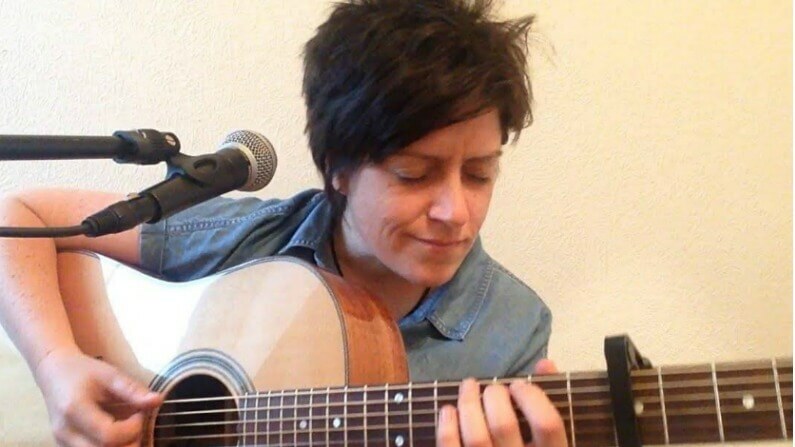 Her captivating voice has been heard on several internationally aired commercials for Max Factor, Britannia Jeans, and Yoplait Yogurt to name a few. Sybil’s voice and passion for music have brought down the house in several New York nightclubs, such as the Apollo Theatre, 7th Avenue South, and Green Street Bar and Café in the Village, as she worked the circuit in the late 1970s and early 1980s. Her international hit record, “Rescue Me” and the voice of Raw Silk’s “Do It to the Music”, from West End Records, has stood the test of time and is still on the request list all over Europe. Sybil has also made several special television appearances on the hit comedy show “Saturday Night Live“. She would be seen singing backup for several Eddie Murphy skits, Joe Cocker, and comedian Lily Tomlin. 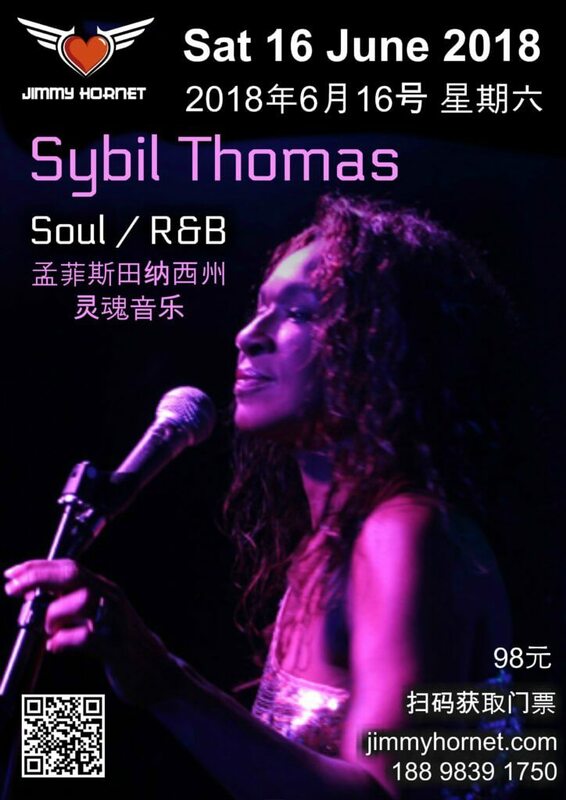 Sybil Thomas performed at Jimmy Hornet Zhongshan China, on 16 June 2018.